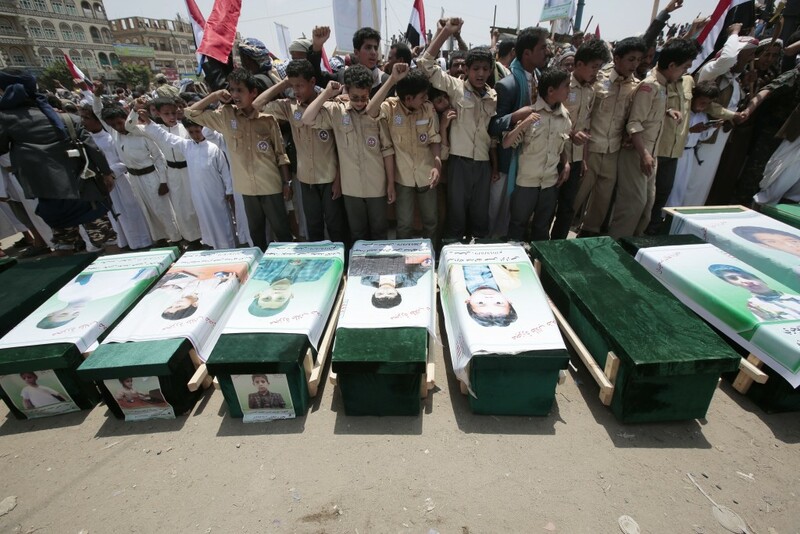 CAIRO (AP) — A database that tracks violence in Yemen shows that airstrikes by Saudi Arabia and its allies are on a pace to kill more civilians than last year. That's despite the United States' repeated claims that the coalition is taking precautions to prevent such bloodshed. The database gives an indication of the scope of the disaster wreaked in Yemen by nearly four years of civil war. At least 57,538 people - civilians and combatants - have been killed since the beginning of 2016, according to the data assembled by the Armed Conflict Location & Event Data Project, or ACLED. That doesn't include the first nine months of the war, in 2015, which the group is still analyzing.